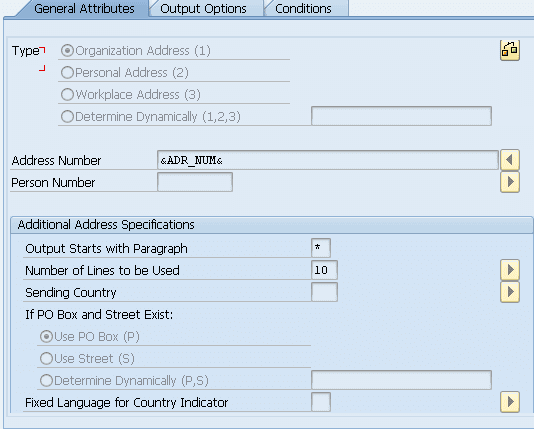 SMARTFORMS-Interview Questions With Answers-SAP ABAP-6. There may not be enough space in the window to display the variable, either increase the window dimensions or condense the spaces using &SFSY-FORMPAGES(C)& or using &SFSY-FORMPAGES(ZC)& or using &SFSY-FORMPAGES(4ZC)&. 'Z' eliminates the leading zeroes. In case if you the address number or the person number is already known, then we just we need to maintain the values in the options given in the address node. Page Protection is used to avoid displaying the broken contents of the page and allow it to display in the new page from the beginning after the previous page. Page Protection attribute is to be used to determine whether or not to display a paragraph completely on one page. Mark it if you want to avoid that a paragraph is split up by a page break. If on the current page (only in the main window) there is not enough space left for the paragraph, the entire paragraph appears on the next page. While one can use the PROTECT ..... ENDPROTECT command for SAP-Scripts, for Smart Forms the Page-Protection checkbox can be used to ensure page protection. Note: You have Page-protection property only for Text Elements in the Main Window. Yes, this can be achieved using the Upload/Download feature for Smartforms. One can download the Smartform from one system and save it as an XML file. Once that is done, the XML file can be used to upload the Smartform in another system.